The Tibetan language activist Tashi Wangchuk faces up to 15 years in prison for simply calling for linguistic rights to be respected. Cultural rights, including the right to use one’s own language are protected under both the Chinese Constitution and international human rights law. Amnesty International highlights that the Tibetan culture risks becoming extinct as Tibetan children are unable to speak their native language fluently. Tashi and other jailed activists in China have received international support from the European Union, Germany, the International Tibet Network, Amnesty International and Human Rights Watch. They have all called upon China to drop the charges against Tashi. China has not owned up to any human rights abuses against activists. A Tibetan language advocate is to be tried in a Chinese court for “inciting separatism,” a charge carrying a maximum sentence of 15 years in prison, his lawyer has said. 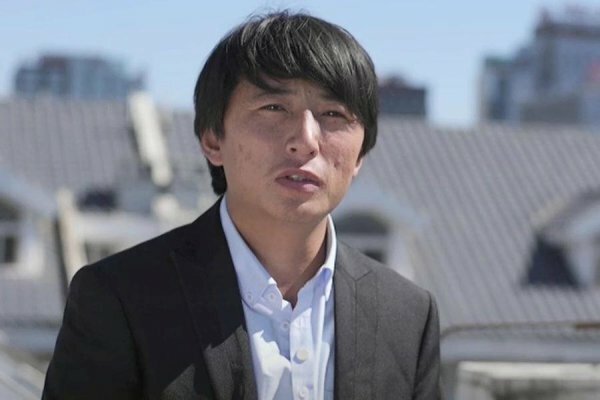 Tashi Wangchuk, 32, has been detained for nearly two years after being taken away from his home in January 2016, two months after the campaigner spoke to foreign media about his advocacy of Tibetan language education. Tashi’s lawyer Liang Xiaojun said his trial will begin on Thursday morning at the Yushu Intermediate Court in Qinghai province. In his interview with the New York Times in 2015, Tashi expressed hope that Tibetans could study in their mother tongue. He was filmed trying to file a lawsuit against Qinghai officials over the lack of Tibetan language education and to get Chinese media to cover the issue. The Times interview is a central piece of evidence in the charges against him, according to his lawyer. Tashi has also posted on his microblog expressing concern that many Tibetan children are unable to speak their native language fluently, as well as the “gradual extinction” of Tibetan culture, according to NGO Amnesty International. Despite stating that he was not calling for Tibetan independence, Tashi was charged with “inciting separatism.” He was held in secret detention for about three months before his family was informed that he was to be prosecuted. The European Union and Germany voiced concerns over China’s jailing of activists including Tashi at the United Nations Human Rights Council meeting last March. The International Tibet Network, a coalition of Tibet-related NGOs, launched a petition urging 18 foreign ministers from countries such as Canada and Norway to call for for Tashi’s release. Rights groups such as Amnesty and US-based Human Rights Watch also asked China to drop the charges against Tashi. “Cultural rights, which include the right to use one’s own language, are protected under both the Chinese Constitution and international human rights law,” Human Rights Watch’s China director Sophie Richardson said in a statement last January. Last Monday, Tibetan filmmaker Dhondup Wangchen fled to the US from China, after being jailed and deprived of political rights over the last ten years. He became a target after making a film in which ordinary Tibetans discussed their views on the Dalai Lama and criticised the Chinese government. Human rights groups have long criticised the Chinese government for using the broad charges of “separatism” and “subversion” to target ethnic minorities such as Tibetans and Uyghurs. China has rejected accusations of human rights abuses against dissidents.